"......all the LED bulbs can be operated with a dimmer......"
Be careful with the above statement. Dimmers need a significant load to operate correctly. What I mean by that is a dimmer's internal circuitry operates best when a load is place upon it similar to what you would see using inefficient incandescent bulbs. A dimmer works by turn the light on and off many cycles per second. Your eyes can't perceive this on/off flickering. The faster it switches the light on and off, the brighter you perceive the light to be. The slower is switches, the dimmer the light seems. LED's pose a problem in that they're so efficient, they don't place enough load on the dimmer for it to operate correctly. Sometimes the the bulb brightness will waver up and down and it will noticebly flicker. The brand of dimmer may have something to do with it as well. I recently replaced five 60 Watt floodlights in my kitchen with five LED floods which in total consumed the amount of just one incandescent floods. I installed a Lutron brand dimmer which clearly states that it's compatible with CFL's and LED's. I had nothing but problems with the Lutron brand dimmer. The floods occasionally flickered and pulsed up and down. If a sudden load was placed on the house voltage like the cycling of an air conditioner. the bruightness of lights would go way down and bounce up and down for a few moments. I finally had enough, took them out and stopped there. So I think it has a lot to do with the dimmer used to. If you try it, you must use dimmers that are compatible with CFL's and LED's. You can purchase both compatible and non-compartible units so be careful. Dimmers which have been installed for a long time will most likely not work. LED light of the correct temperature is wonderful. My floods give a sharp, crips light. CFL's on the other hand gave off a diffused light, and I didn't care for it. I noticed the lamposts leading into Burgess Elementary school are LED, and the overhead lighting at the Stop 'N Shop gase station uses them as well; both are the cold, blue/white light. 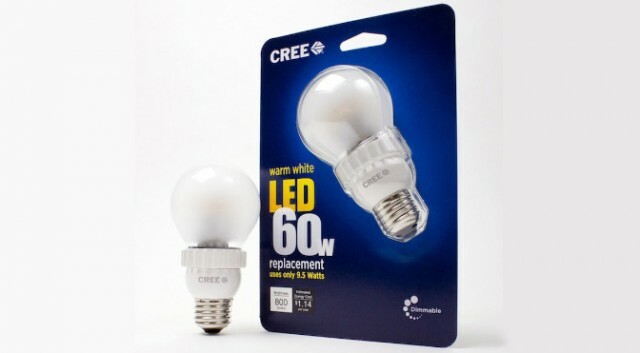 LED lighting is coming on strong and you'll see the prices drop dramatically just like CFL's did. LEDs can also be packaged differently so you may see interesting lighting fixtures appear as designers learn to work with them. Fun times to be in for sure! Great tips, Tom. I will check the Cree site for any recommendations regarding a proper dimmer. This is the end of the Edison light bulb we have always known. LEDs will take the place of all lighting over the next few years. It will become even better, come in many more sizes and "wattages". I like living in the "Just Around the Corner" era. No Doubt such blogs help to create Eco-Friendly Environment as they save more energy with help to save Electricity up to 80%.